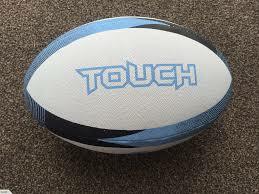 Touch is a sport derived from rugby; it places emphasis on running, agility, and ball handling abilities which includes eye-hand coordination for passing and catching balls. As a toned down version of conventional rugby without its numbing physical tackles, it’s an excellent sports anyone can play regardless of their experience, gender, or age. The pretty part of the game is that it doesn’t require so much equipment to play. All that’s needed is a rugby ball, a flat space – which can either be an indoor space or an open field – and a team. Aside the ease of play and its inclusive nature, there are several other benefits of playing touch. 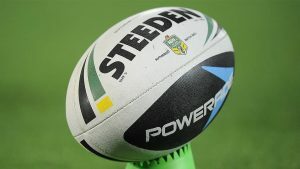 As a fast-paced action-oriented sport, touch is a cool way to burn tons of calories while having fun. The game involves lots of running, moving, and other physical activities, which ensures players are getting in loads of workout time that keeps them fit. It also boosts bone and muscle strength and body coordination all in a fun social atmosphere. The game of touch ingrains desirable traits such as honesty especially in younger players. Since touch is more subtle than a tackle, the player tagged would have to own up when touched. It also fosters team spirit among players. And finally, encourages discipline which is a required character to succeed in the game. There are few sports out there that rival touch regarding creating a sociable environment for new people to meet. One could find themselves playing in or against a mixed team of both men and women, young and old and even strangers. It also provides a conducive environment for family bonding. You could play with and against members of your family, creating and sharing memorable moments with those you love and care about. Touch is like a primer for young players to learn the basics of the traditional rugby. It involves just the same tactics – pass, catch, evade. The skills learned playing touch can easily be transferred in the future when they’re ready to take on traditional rugby as a hobby or profession. Most conventional rugby players say they see more attacking options after practicing with touch. Once, tackling is removed during warm-ups, players have to rely on their skills to uncover other weaknesses, create gaps without the contacts. This makes it much easier to unlock scoring chances, once contact is re-introduced. Finally, touch helps to train, develop and get young players interested in rugby which is good for the game’s long term future.